1. I was one of the two leads for the week. 2. Our guest speaker was a UNH professor (this will happen twice during the semester. Even more to the point, it is the professor that teaches this very class. So, not really a guest speaker. The Seattle prof that teaches the other half of the class has already given her talk. I think this is going to happen a lot in the class, but as I mentioned in the education talk, these topics are just not in the wheelhouse of many of the students. We spent much of our hour-long Tuesday discussion talking about background issues, rather than the issue at hand, which was ostensibly trademarks in domain names. This is not really a criticism of the class. forming the appropriate prerequisites for the course would be impossible. I just point out that it is incumbent upon students in the class to pick topics for which they are best suited. Even though in a room of techies my specialty is certainly not going to be high-level Internet routing (perhaps lnxwalt will give his opinion in a follow-up article on Open Source Playground), I think I did a good job picking this topic. For example, I brought up that recently the UN tried to take over the Internet. Considering this is a "current issues" course, I thought it important to do so, rather than get stuck in the trademark morass. To an extent, the ITU take-over is old news because it just didn't pass, but I think this is an issue likely to come up in the future and thus worth thinking about. Whether you think this is a good idea or not mostly depends on if you trust western governments over a joint east-west partnership. While I don't agree with western governments on everything, I do think they have it right on the Internet. I think ceding more power to Russia and China in the Internet space would be a bad thing. China already seems to do a reasonable job censoring the Internet. Another reoccurring theme in the course, at least as it relates to the Lawcast, which was not a problem last semester, is the question of what it has to do with music. The answer really is that no one really knows because no one really knows how all of these new gTLDs is going to work. 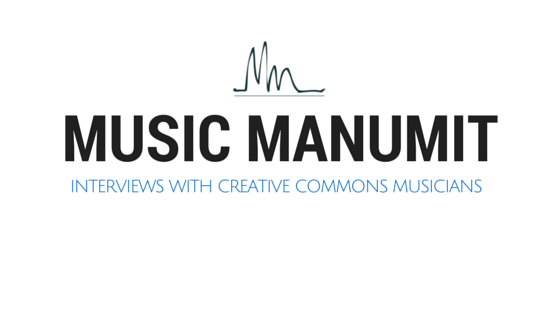 However, we can think about some potential issues and advantages for Creative Commons music. Interestingly, .music apparently already exists (or existed in the past?). However, it appears that if it once existed, maybe it doesn't anymore (or is just for sale)? Anyway, it seems clear that it is up for sale in some sense. CNN lists 8 different bidders for the .music tld. None of them are the Far Further group that rt.com reported is bidding for the tld though. While the rt.com article has a date from this past summer, I can't find one on the CNN list. As anticipated, the page information says the CNN page was last modified when I accessed it. Thanks. The potential problem for .music is admittedly very tinfoil-haty. If a major label gets .music and it becomes the standard, how will Creative Commons music compete? There are obviously a lot of objections to this critique. What is to say SoundCloud, Jamendo, BandCamp, Free Music Archive and other places where people can now find CC music will move over? What is their incentive to move over? The follow-up question is whether they are competing on equal footing now. How much, if at all, does this change things? Does the fact that they might set apart in some way increase their cool factor? Equally impossible to answer is the possible benefits CC music could reap from this. Let's imagine that whomever gets .music licenses out the sites at a reasonable price. Let's say Jamendo either moves or has a mirror jamendo.music. The benefit here is that people know they are getting music before even poking around on the Jamendo site. Sites like www.musicmanumit.com and freemusicarchive.org don't really see a benefit because music is in the name. There is currently no application for registration of .creativecommons, but what if someone other than the organization we know as CC decided to buy the mark? At 15 char*, I'm not sure there should be much concern for this, but it really highlights the problem at which Professor Wong is getting. If Creative Commons were bought and used by a traditional copyright licensing organization, where you pay to play, it might change the discourse around CC like the Linux kernel did around GNU. Some individuals still fight for GNU/Linux, but it is a genie long out of the bottle. The term "open source" has a similar problem with people using "open source" to mean freeware, because, obviously, they don't know what "source" is (presumably because they have never seen computer code). The upside might be more positive here. For one, it's a half-million** dollar publicity stunt if nothing else. I doubt this is the best use of half a million dollars if CC can get their hands on it, but pet projects often get money. Would Mark Cuban have donated half a mil to the EFF without their new Defend Innovation project? So someone with a penchant for the dramatic, not unlike Mark Cuban, would just need to think this was a good way to make a splash. I'm certainly not arguing that it is the best use of the money, but let's assume for a moment that this happens. One of the problems people currently have is finding Creative Commons music. Obviously you can go to Jamendo or Free Music Archive and find some, but there are also a ton of netlabels out there such as Quote Unquote Records and StoneAge Records that don't participate in those ecosystems. Even if we do come up with a .creativecommons to make us one big, happy family, where do we draw the line? Free Music Archive isn't just CC, it also has their own license. Even at Music Manumit, we occasionally, play public domain or Art Libre material. These sorts of decisions about how .music or .creativecommons might work are really outside the realm of law. That does not, however, mean we shouldn't think about them. Either way, it's an exciting world ahead of us! On Thursday I'll get the opportunity to speak with Professor Wong again about the issue, so if you think there are questions, I should ask her, please let me know! *Although there are some long ones, like NORTHWESTERNMUTUAL, which comes in at 18 char. I'm just not convinced people really want to type that much in. I guess if all they have to type is .northwesternmutual, then perhaps. It actually potentially saves char in this case. My point is simply that the longer it is, the less likely you are to bump into someone else. ** While the fee is $185k, ICANN also looks at the ability to run a network and the cost needed to prove to ICANN you can do that has been estimated at between $.5 and $1 mil.